Dr. Irwin’s extensive background in Higher Education adds to Real Time Cases’ capabilities around building academically-grounded, video-first business cases. Real Time Cases welcomes Kathleen “K.C.” Irwin, Ph.D., as Director of Academic Operations. Dr. Irwin brings more than 20 years of higher education experience, including course instruction and development at both public and private community colleges and four-year institutions, to Real Time Cases. In the early days of online education, she was instrumental in designing courses that helped many institutions, including Gardner Webb University in North Carolina, establish their presence in this burgeoning market. K.C.’s grasp of course development is unprecedented – she knows distance learning from her years of designing and implementing curriculum for universities. With her focus on academic operations, Real Time Cases will continue to ensure that all of their case content meets the rigorous standards that their customers across Higher Education have come to expect. As Director of Academic Operations, Dr. Irwin’s expertise in online education adds to the academic foundation of Real Time Cases’ innovative video-based experiential learning modules. 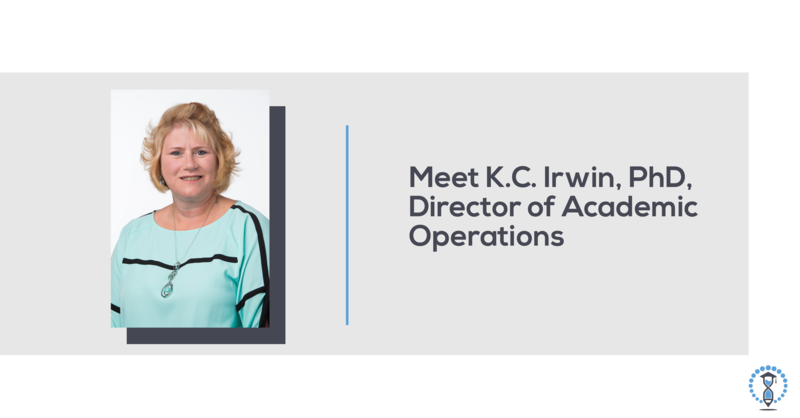 K.C.’s appointment also supports the company’s expansion into new course areas, including Healthcare Management, Business Analytics, and Digital Marketing. K.C. has focused her entire career on removing barriers to education and delivering impactful learning experiences to students through technology, and will continue working toward that mission by creating exceptional, academically strong video-centric content to bridge gaps between the classroom and the business world at Real Time Cases.